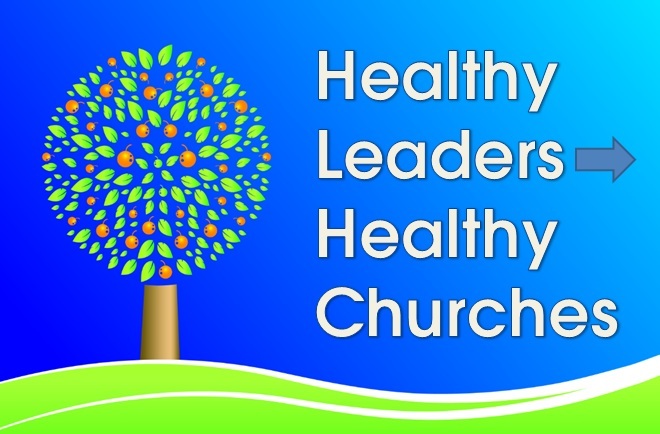 "HEALTHY LEADERS - HEALTHY CHURCHES"
is the theme of the 2014 forum. Every church leader is interested in the growth of his congregation. The simple fact is "healthy churches grow - unhealthy churches do not." Over 80% of all churches in the United States are not growing. What are the factors that characterize health and growing churches? What can leaders do do impact the health of their churches? These and other topics will be explored during the forum's breakout sessions during the week. Healthy churches become and maintain their health because of their leaders. Healthy leaders impact the health of their congregations. What is it that characterizes the leader who will have a positive impact on his church? The sermon sessions throughout the week will focus on these qualities by looking at Jesus as our ideal model of a healthy and effective leader. The sermons throughout the week will focus on key leadership qualities of Jesus. Jesus was the perfect leader. We can learn much about leadership from observing him. The material will be drawn from selected texts from the gospels. "Jesus: A Leader with a Vision for Ministry"
Leaders are men of vision. They know God's plan for them and their people and they communicate that plan effectively. "Jesus: A Man of Prayer"
Leaders must have a strong prayer life. This spiritual lifeline is an absolute necessity for effectiveness. "Jesus: One Who Equipped and Empowered Others"
Healthy leaders not only choose others with whom to work, but they equip and empower them to carry out their tasks. Leaders often burn out. A healthy leader understands balance. He takes time for rest, refreshment, recreation and renewal. Healthy leaders know how to communicate well with others. "Jesus: A Man of Action"
Effective leaders are not just good talkers. They get things done. Leaders love peace. They are not the source of nor instigators of conflict. "Jesus: An Effective Problem Solver"
Effective leaders have the ability to manage problems. Some problems require immediate solutions. Others need more long term remedies. Forum attendees will have the opportunity to participate in a number of practical workshops. The workshops will be based on the eight characteristics of a healthy church researched and articulated by Christian Schwartz. "Developing a Vision for Your Church"
"Helping Your Members to Grow Spiritually"
"Improving the Relationship Between Elders and Preachers"
"How to Increase Love Among the Leaders in Your Church"
"Helping Families in Your Church to Grow In Love"
The program will officially begin on Sunday night at 6:00 p.m. and will feature two speakers. Three special programs will be held on Thursday. These will include two panels, a women's program and the annual banquet. Two 90 minute panels will be held on Thursday morning. The first will be held at 9:00 a.m. following the morning devotional scheduled at 8:45 a.m. The first panel will address the topic, "Facing the Top 10 Challenges of Church Leaders." The panel discussion will involve interaction between the panelists and audience. The second panel will begin at 11:00 and will address the topic, "Facing the Top 10 Challenges of Our Churches." A special women's program will be held on Thursday morning. The program will begin with a coffee hour at 8:00 a.m. The program will continue with breakfast at 9:00 a.m. and with special informative and inspirational presentations. The program will conclude at Noon. The annual forum banquet will be held on Thursday evening at 6:00 p.m. The evening will feature local favorite singers, Sticky Notes and other activities. The night will conclude with an inspirational message. Here is the full detailed schedule for the entire week. "The Eight Qualities of a Healthy Church"
"How to Help Members Discover & Use Their Spiritual Gifts"
& Dechurched and How to Reach Them"
"Becoming a Great Singing Church"
"How to Start a Small Group Ministry"
Christ & The Restoration Movement"
"Becoming a Leader of Leaders"
"Reviving the Fire & Keeping It Burning"